Tension-type headache (TTH) is the most common type of primary headaches, and its chronic form, chronic tension-type headache (CTTH), is affecting 0.5 to 4.8 % of the worldwide population. Although the mechanism underlying CTTH remains unclear, the role of central versus peripheral mechanisms has always been discussed while explaining the pathogenesis of CTTH. 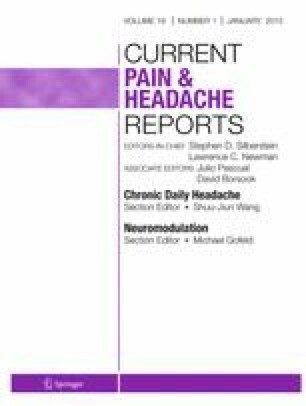 There is always a debate on differential diagnosis between CTTH and chronic migraine without aura which are regarded as different aspects of chronic daily headache spectrum because of many similarities and fuzzy boundaries. Compared with pharmacological treatments, non-pharmacological treatments have been popular as alternative interventions for CTTH in recent years. This review summaries the update knowledge on CTTH and discusses the most interested questions regarding pathogenesis and therapeutic strategies of CTTH. Dr. Shengyuan Yu and Dr. Xun Han each declare no potential conflict of interest.